Steamatic has been a leader in the cleaning business since 1968, with patented cleaning methods that are still used by the industry, today. 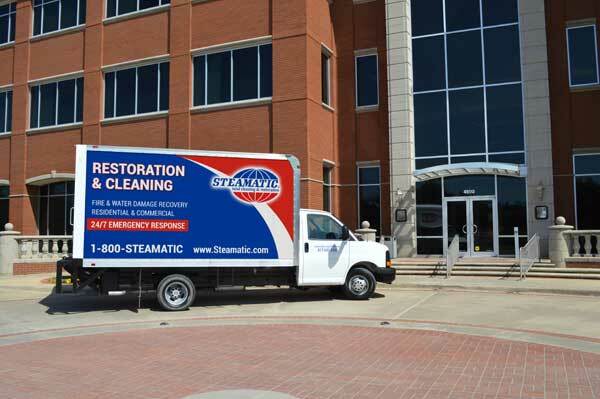 Now, after close to five decades as a respected name in the restoration and cleaning industry, Steamatic is embracing the transformation of its organization and entering a new era of growth. 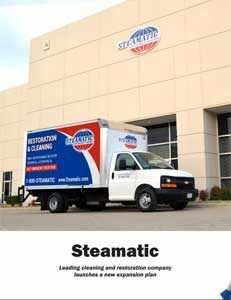 Today, Steamatic is an international leader in water damage and fire and smoke restoration, serving residential and commercial clients in 24 countries around the world. Steamatic continues to offer a wide variety of cleaning services, including carpet and rug cleaning, air duct cleaning, furniture and drapery cleaning, and hard surface cleaning, including hardwood, tile and grout. Over the last several decades, the company has also added a complete portfolio of disaster and emergency restoration services including: wind damage restoration due to hurricanes and tornados, mold remediation, dehumidification, art restoration, electronics restoration, odor control, corrosion control, contents restoration & document recovery. Steve Willis is the current president of Steamatic and Bill Helton is its new Director of Franchise Development. The two executives explain how the company has lately begun to re-focus its energy on franchise growth after a period of dormancy. According to Willis, Steamatic was “not aggressively in a growth mode.” Willis was with the company for 13 years but left it some time ago. He came back about three years ago to re-invigorate Steamatic and kick start its expansion and growth. Currently, Steamatic has about 65 franchises in the U.S., totaling over 250 territories. Many of these franchisees are multiple-territory owners. This year, Willis and Helton would like to bring in five or six new owners and another 10 to 15 in 2016. Helton explains the training process for new franchisees: “Our training truly sets us apart – two weeks of training in-house, and then they have an option to spend another week shadowing our corporately- owned franchise. Following that, we go out to their location for a week, 30 days later we’re back out there for another week, and 30 days after that, we make a third visit. 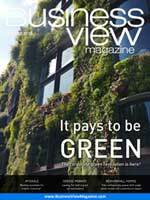 So we do three site visits within the first 60-75 days. I don’t believe there’s another franchisor in the industry that does anything even remotely close to that. We want to help our owners get ramped up very, very quickly. The only way they can do that is if they’re comfortable going out and meeting people, and our support team helps them do that.” The Steamatic training is free for a franchise and its staff for life. “We are happy to absorb the expense of training someone – a marketing person, or technician – so they learn how to do it the Steamatic way,” says Helton.